A medical accounting team balances your books and analyzes your expenses so you can focus on what’s important – your patients. Most medical billing companies only address half of the financial equation, if that, by focusing on insurance billables. A firm able to address not only insurance billing, but keep an eye on your point of service sales, cosmetic revenue and your payables can be an invaluable resource. Look for a group that can offer services including: bookkeeping, accounts payable & accounts receivable management, and credit card processing. By analyzing your current expenditures, a medical bookkeeping service will identify financial issues and minimize your expenses. They will find places where you are drastically overcharged and evaluate new, optimized vendor contracts, courtesy of a skilled billing team. Gain control over your finances with custom monthly reports. Complete and accurate records of payments received and payments owed is vital to your practice’s success. With clear and concise reporting at your fingertips, generate informed financial decisions for your practice. Decrease reconciling time through organized financial operations. Medical accountants secure your deposits and keep your books clean. Less questions will arise, and when they do, you’ll be prepared for them. Become tax compliant with a team that knows tax laws inside-out. A medical bookkeeping company stays up-to-date on changing tax laws and regulations so you don’t have to! Balanced accounts receivable and accounts payable are crucial to medical practice cash flow. If your cash position isn’t consistent, your financial flexibility and ultimately profits may suffer. Delinquent accounts payable means that a medical practice is late paying money owed, which affects working capital. The practice may receive late fees and charges, and the delayed payment can sour the relationship between buyer and supplier. A skilled medical bookkeeping team analyzes market trends and vendor costs to maximize your savings. They make sure your vendors receive payment on time, so your practice maintains good credit with its suppliers. If patients and insurance companies aren’t paying you for services rendered, your cash flow will be delayed. This affects your ability to pay money you owe and wastes precious time following up with accounts. 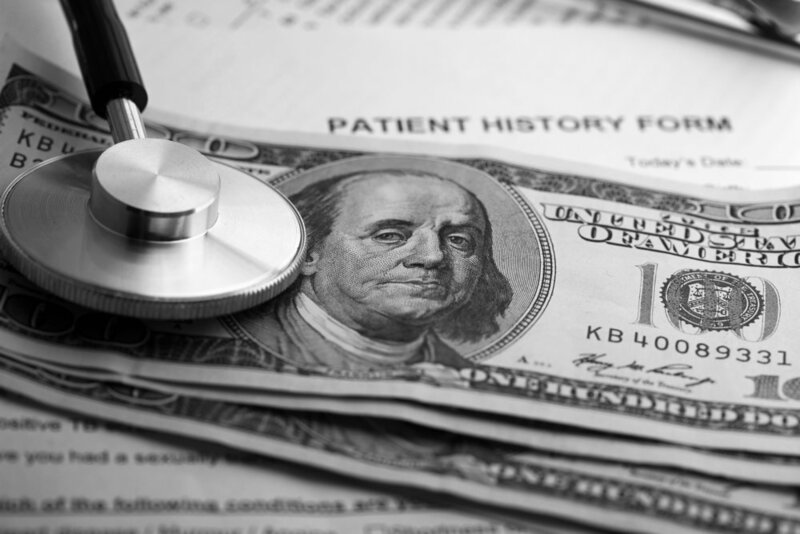 Improve accounts receivables with a skilled medical billing team. In-depth analysis of current aged receivables identifies problems in your payment infrastructure. Your accounting team chases down delinquent payments and negotiates with insurance companies on your behalf. Medical practices have specific needs when it comes to credit cards. They need to provide payment plans for expensive procedures, accept different modes of paying (phone, online, in person), and send secure, compliant payments. Don’t get suckered into the Stripe/Square accounts with their slick terminals. A solid processing partner can get you that mobile fob for Botox parties, an online payment portal for cosmetic prepayments, e-statements and payments, and the classic in office terminal with all the bells and whistles (e.g., applepay etc.). Process credit cards with your specific medical needs in mind through a medical billing company. All transaction information is HIPAA compliant. Processing is fast, reliable, and capable of handling simultaneous requests. Does your vender offer 24 hour funding? Normal credit card processing optimizes profit for the processing company. Save money, improve your process, and increase your profits with a medical accounting team that optimizes your returns. Learn more about medical bookkeeping, accounting, and other services that simplify running your medical practice.